We recently shared a commercial pool project in Meadowbank, NSW, by Wright Pools. 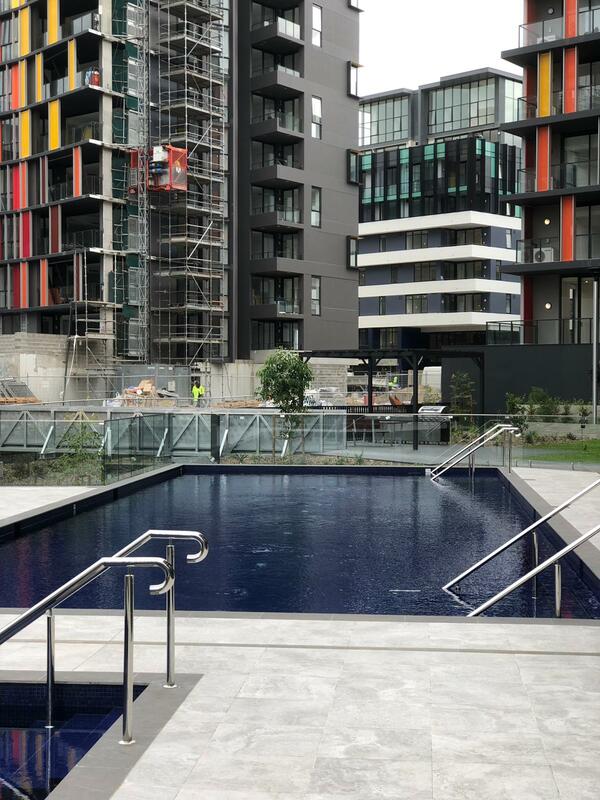 The project is completed and the refurbishment of this 20m pool and spa looks just beautiful! 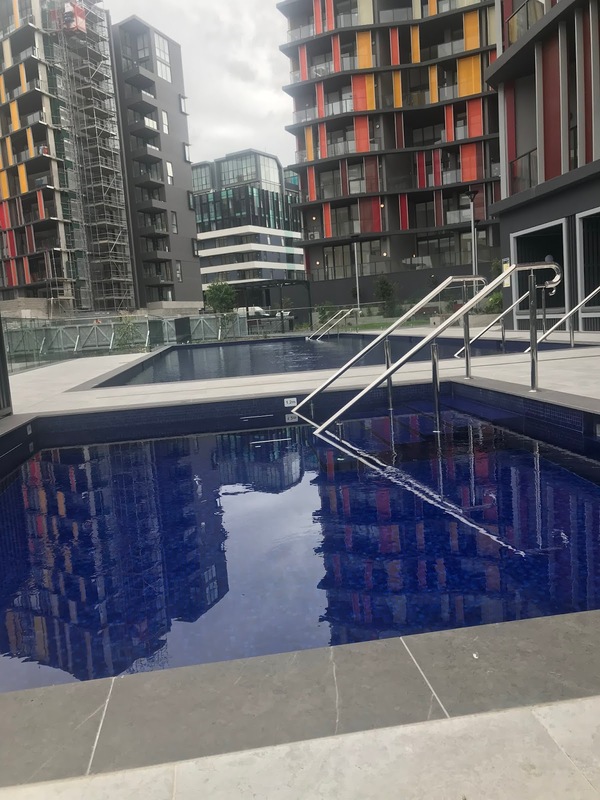 The pool features Ezarri glass mosaic tiles carried out by Knewbee Tiling, installed using a range of LATICRETE materials. 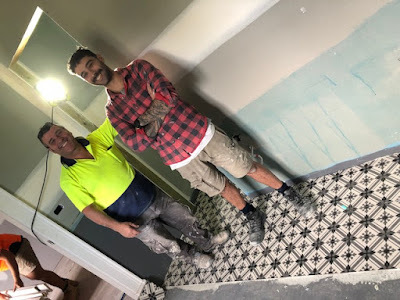 Daniel and Rocco from PA1 Tiling are currently working on another bathroom project in Melbourne, VIC. The project features 150x150mm decorative tiles. The next step for the team is tiling the walls with 200x100m Gloss white subway tiles. Stay tuned for more pics as the job progresses! 335 Premium Flexible Adhesive is a high performance thin-bed adhesive for installation a wide range of tile and stone for exterior and underwater applications. 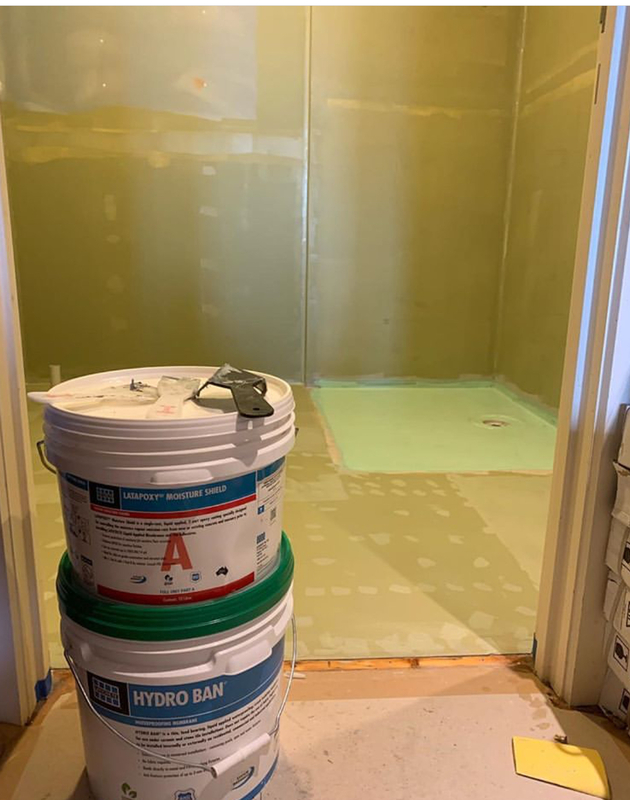 HYDRO® BAN is a thin, load bearing waterproofing/crack isolation membrane that DOES NOT require the use of fabric in the field, coves or corners. HYDRO BAN is a single component, self curing liquid rubber polymer that forms a flexible, seamless waterproofing membrane. HYDRO BAN bonds directly to a wide variety of substrates. SPECTRALOCK® PRO Premium Grout* is a high performance epoxy grout that offers colour durability and stain resistance with extraordinary ease of use. Can be used for interior, exterior and immersed applications. Do you need help in selecting the appropriate adhesives, mortars, and grouts for your specific residential applications? The LATICRETE Residential Tile & Stone Installation Systems brochure provides information on products that are engineered for residential tile and stone installations. Click here to view/download the LATICRETE Residential Tile & Stone Brochure. Call us on 1800 331 012 to find out more about our products, arrange a demo, request FREE samples or email us here. 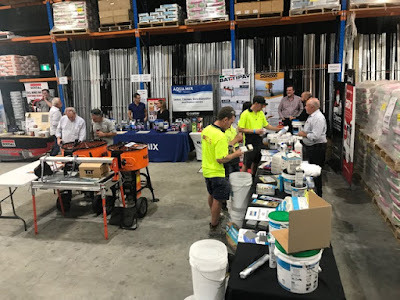 Last week LATICRETE attended a trade night at Newcastle Tile Company in Mayfield West, NSW. 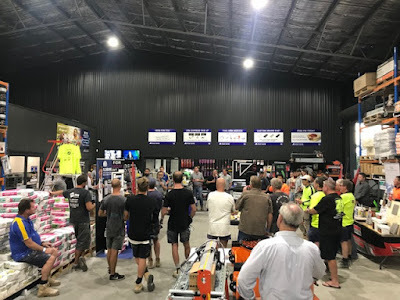 It was a busy, but successful event and almost 80 tradies came through. Those who attended had the opportunity to chat with Craig Hunter, LATICRETE Technical Sales Rep, to gain a better understanding of LATICRETE products and installation systems. 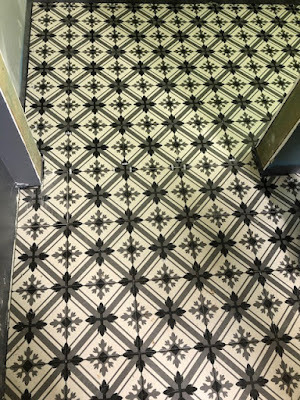 SPECTRALOCK® PRO Premium Grout is a high performance epoxy grout that offers colour durability and stain resistance with extraordinary ease of use. Can be used for interior, exterior and immersed applications. PERMACOLOUR® Select is an advanced high performance cement grout that offers the industry's first dispersible dry pigment solution. Contact us to arrange a trade event, a demo, FREE samples or for technical support, call 1800 331 012 or email sales@laticrete.com.au. Shane Anderson, LATICRETE Technical Sales Rep, recently took some time out to help our stockist Meer Tile Market, who wanted a feature wall tiled and grouted. Together they turned a plain wall into a magical showpiece by using SPECTRALOCK® PRO Premium Grout* in 'Midnight Black' with DAZZLE™ in 'Mother of Pearl'. 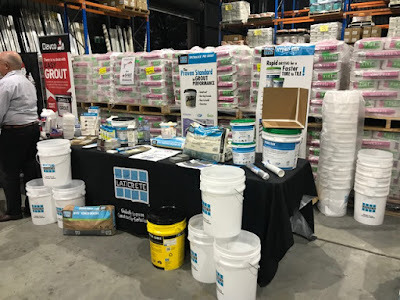 Why not pop and see the team at Meer Tile Market in Underwood, QLD and check out the display in their showroom?! Chat to the team about the range of LATICRETE tile and stone installation materials that they stock. 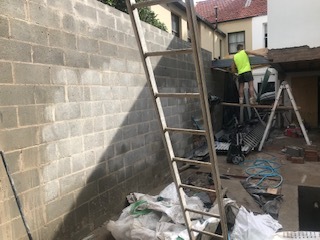 A private residence in Paddington, NSW, is currently being renovated by Rhys McAlister and Sam Reslan. 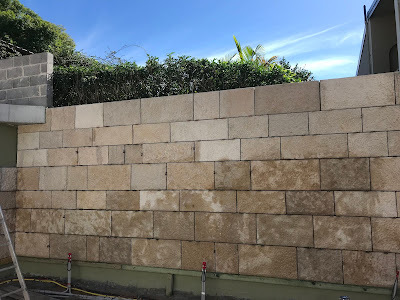 Joe Tabone, LATICRETE Technical Sales Rep, visited the job-site where the team is working hard to install a LATICRETE 10 Year Installation System for a 50m2 stone cladding wall. 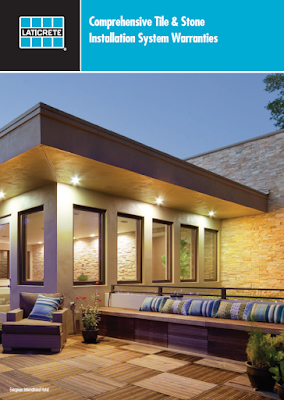 Click here to view/download the Masonry Veneer Installation System brochure. 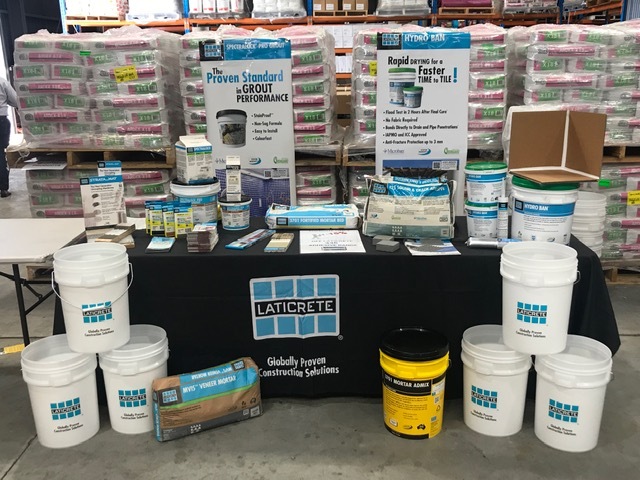 For more information on using LATICRETE in your projects, product demos, FREE samples or technical support please contact LATICRETE on 1800 331 012, email us here or visit au.laticrete.com. LATICRETE Offers the Best Warranties in the Industry! Consider the extra value and peace of mind a LATICRETE Warranty can bring when selecting the installation system for your project. LATICRETE provides comprehensive warranties for commercial, residential and industrial project worldwide. 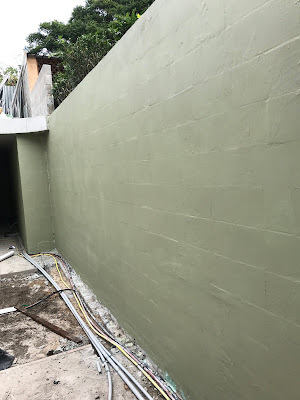 However, our best guarantee is our 60+ Years of experience with these commercial, residential and industrial installation in every imaginable climate, in just about every country around the world. 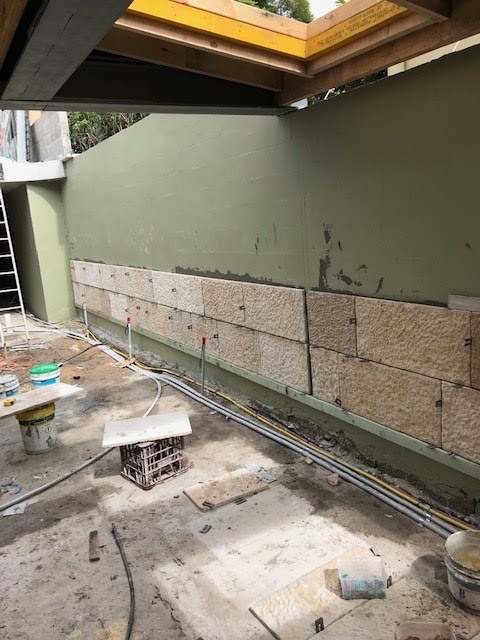 LATICRETE Australia warrants that LATICRETE products will be free from manufacturing defects and will not break down or deteriorate when installed in accordance with LATICRETE written specification and guidelines. Click here to view/download the Comprehensive Tile & Stone Installation System Warranties Brochure. Chat with your local LATICRETE Technical Sales Rep about your next project. Call 1800 331 012 or email us here. Bathroom Project in the Making! We receive and share a lot of great bathroom renovation projects, this one is no exception! 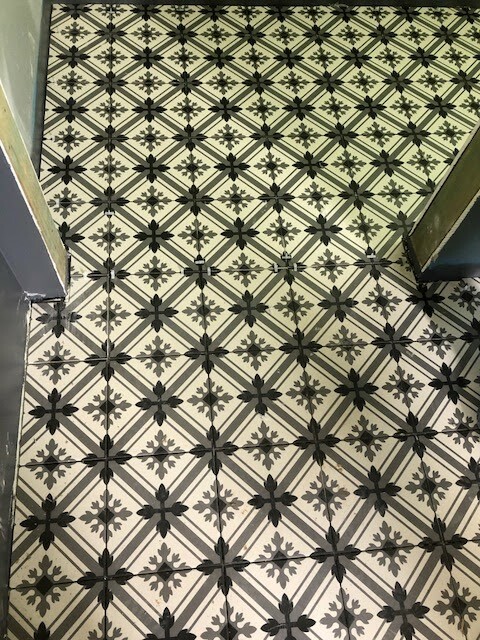 Nathan and the team from Progressive Tiling are currently working on this bathroom in Collingwood, VIC, where LATAPOXY® Moisture Shield and HYDRO® BAN has just been applied. George Andriotis, LATICRETE Technical Sales Rep, visited the job site and was impressed with the questions and discussions he had with the young tilers about best practices and using the correct products for the correct application. Well done team! Pool by the River almost Complete!